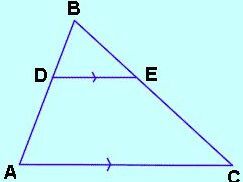 Q 3: In triangle ABC, D and E are the points on AB and AC. BD = 30, DA = x, BF = y, EC = 15, AC = 22. Find AD. 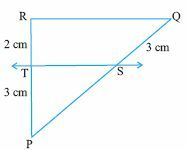 Q 4: In the figure, is PQ ll EF. State yes or no. Q 5: The diagonals AC and BD of a quadrilateral ABCD intersect at O such that AO/OC = BO/OD. 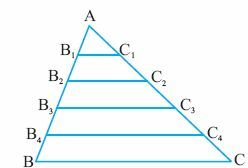 In such a case, ABCD becomes a trapezium.